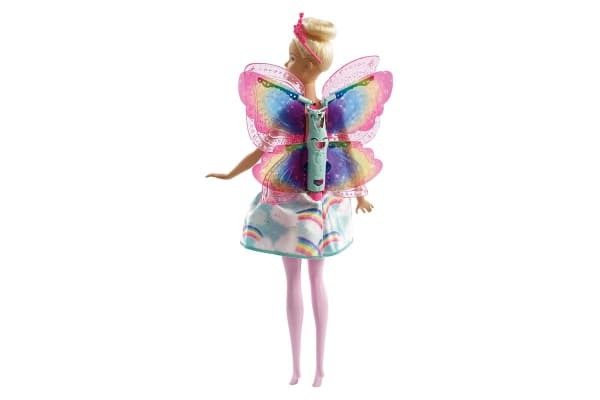 Kids can let their imaginations soar with the Barbie Dreamtopia Flying Wings fairy doll; she has wings that really fly! It’s a magical moment that inspires all kinds of storytelling. 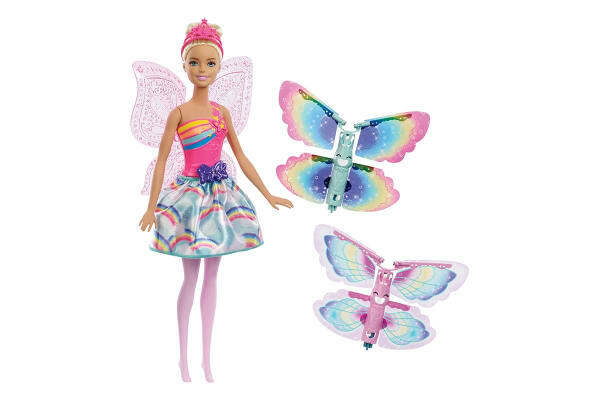 Simply attach one of the two sets of included flying wings to the butterfly wings on Barbie Dreamtopia fairy doll’s back. They snap right in to create a gorgeous double set of wings. Then, pull the purple bow at Barbie doll’s waist four times. When you’re ready to see the wings fly, press the butterfly button hidden on her bodice, the flying wings launch and soar into the air! Their beautiful fluttering motion and colourful designs make the soaring wings look like magical butterflies! It’s so much fun to repeat over and over, especially with two sets of wings. 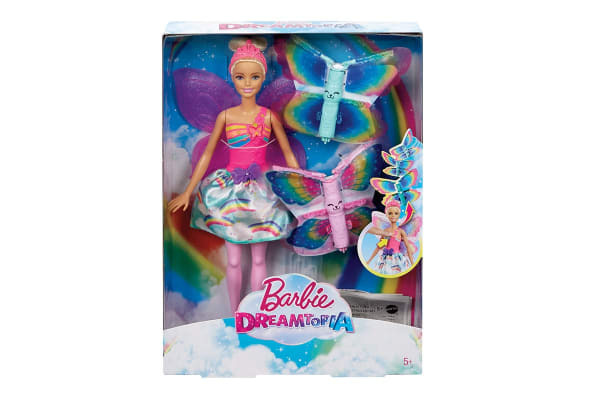 Barbie fairy doll is ready to help their dreams take flight wearing an outfit inspired by Dreamtopia Rainbow Cove.